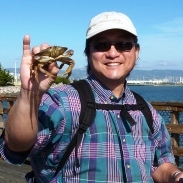 In the past few weeks since our elder brother, Kook Jin nim came to San Francisco. It is now clear that I must leave True World Food for sake of the True Parents. I've been working this company more than 15 years. Yet, somehow, I knew that spiritual atmosphere has been changed in some point. My question is now, "Where I can go in order to fulfill Father's desire?" In the San Francisco bay area, economic situation is still very difficult to find replacement job. (Especially Japanese 1st generation who came this country.) I believe that God will guide me and my family in this difficult time. Our priority is to seek the God's kingdom, Cheon Il Guk, first by the January 13, 2013. No matter what happen, My family should offer the gratitude toward the God and True Parent. I think many of our brothers and sisters are facing same difficulties. I pray for all members that we can unite with True Parent, True Children (In the US, In Jin Nim) and local pastor who is representing True Family in the area, to overcome this difficult time together.